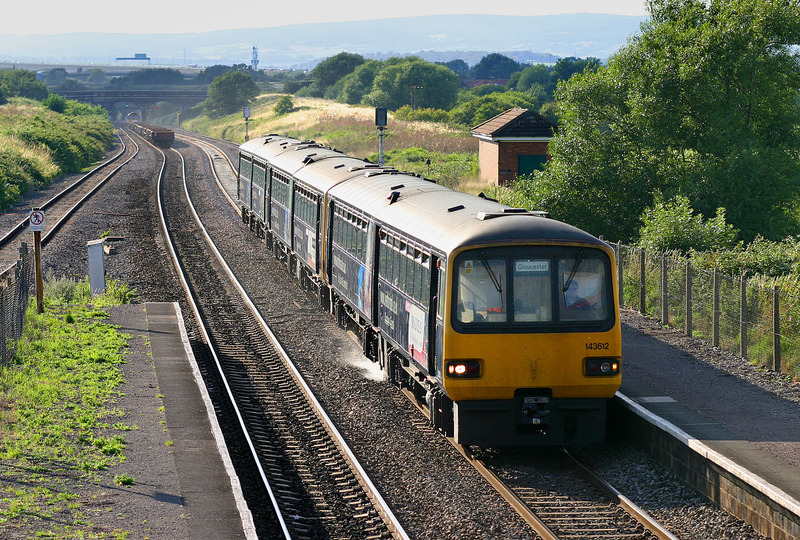 A cavalcade of Class 143s at Pilning on 7 August 2005. Three units, led by 143612 rattle though the station with what is presumably an ECS working from Cardiff, and not necessarily going to Gloucester either! In the background, 66044 descends towards the Severn Tunnel.